Hen and Stag Parties are evolving! What once was a mad-night-out down the local, is now an epic weekend of debauchery, you’ve seen The Hangover right? Planning a Hen or Stag party is a huge responsibility, these mini holidays take months of prep and planning. Of course, it doesn’t have to be a whole weekend, but you need to at least fill the day with some awesome activities, feasts and giggles! Some Hens see this as the perfect opportunity to give the kids to the dads and have some Mummy time with the girls! Often away from home and back-to-back outrageous fun with no responsibility! London being the number 1 destination, but Bath, Bristol, Bournemouth, Leeds, Manchester and Liverpool proving super popular too! Which is probably why Hens are more prone to loosening the purse strings, splashing out on some girl time and spoiling their gorgeous Bride. And these groups of girlies, well they’re armies now! And mostly go by the names of: #Bridetribes #GirlGangs and #GirlSquads – so lads… if you see ‘em coming… you better run! Unless of course you think you can handle them ;-) Check out the hashtags on Insta to see all the crazy and rad shizzle those lassies are up to! The party possibilities are now endless! There is so much choice out there to make the Bride’s last night of freedom the party she’ll never forget! More importantly though, thanks to social media, it’s kinda harder to WOW her. Instagram is flooded with wine tasting, cocktail making, life drawing – and they’re all great fun… but you want the Hen Party activity that smashes her expectations. Plus you don’t want to surprise her with something she’s already done before! And these #BrideTribes – they want something fresh, current and ahead of the trends! 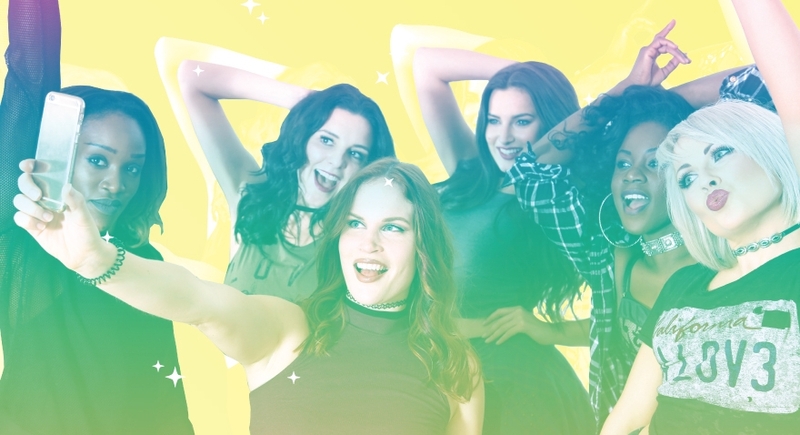 Only the coolest and chicest will do for the #GirlSquad’s hott Instagrams – they can’t be seen looking dry and cheesey on the high street – they need the hottest and sickest fun to plaster online. Dance Party Experience can bring that freshness! We invented the Beyonce Hen Party! As well as the 90s Girl-Band, the 90s Boy-band, the Rihanna Hen Party and many other of the trail blazing dance party trends! We keep it beat! Always offering you the latest Exclusive Music Mash Ups of the hottest most current tracks! So you can be sure you’re one of the first Hen parties in the world to be learning our latest dances! We keep it retro too! Who doesn’t love jamming to some old skool! Whether you want some 80s / 90s choreography so you can dress supa-fly… or wanna throw way back to Dirty Dancing days, we have a whole spectrum of music so you can really nail it for your VIP! And it’s not just the tracks and dancing that we keep fresh! We see that y’all don’t wanna be wearing no pink cowboy hats, flimsy L plate or tatty sashes! You want the sharp funky shiz! Check out our Instagram, where we often post the latest and raddest hen party accessories. From the stylish and chic like personalised candy coloured balloons, to the hilarious Beyonce shot glasses and photo booth props. They’ll look BANGING on your socials babes. Not to mention… we have free face gems and flashing light rings to bring some uber fabulousness to your hen weekend. 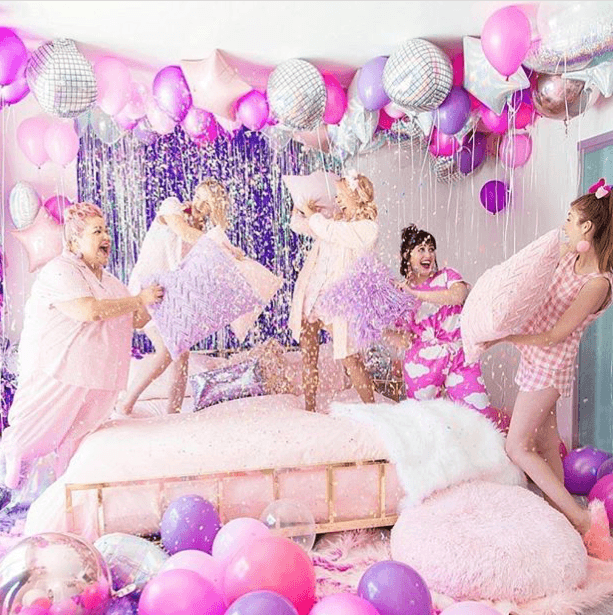 But if you want to look like MEGABABES – check out our London Exclusive Face Gems and Glitter Dance Party – we teamed up with In Your Dreams, the super awesome MUAs behind all the hottest glitter and gem looks (they were on Love Island mate) to bring you this awesome and unique party. Where you can not only dance like a headlining pop star, but look like one too! But it’s not just the party size and budgets that are changing. They’re becoming MIXED too! Over the past couple years, we’ve seen the rise in Gay and Lesbian hen parties and these peeps are making their own rules. We’ve had Hag Parties, we’ve had Sten Parties, we’ve even had JOINT Mrs and Mrs Hen Parties and with so many Dance Party tracks to choose from – a Dance Party seems the obvious choice for a total mix of genders and sexualities. Dance is for everyone! And it looks like the straights wanted in on the action! Because if Alex and Dave got you through your Uni days, or you’ve sat next to Andre for the past 5 years and closed many-a-deal together… invite them to your Hen Party!!! Why blooming not?!? So why is a Dance Party Experience the Top Trending party activity? 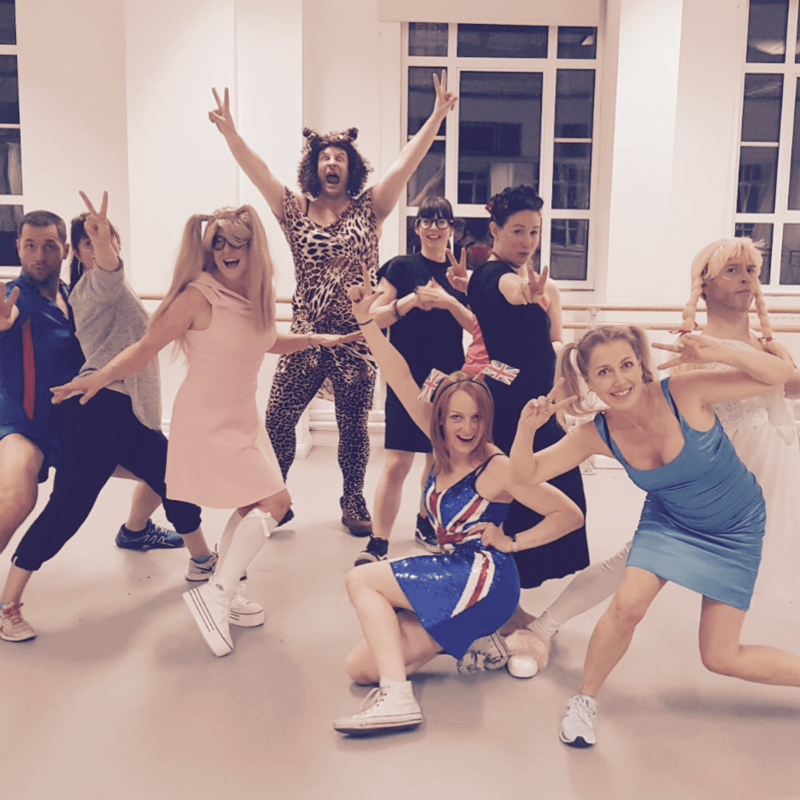 – It’s suitable for all ages and abilities, everyone loves to dance! And you can perform it later on the wedding dance floor. – It’s affordable! Activities can be expensive, but a dance party is great value and means you have budget left for other stuff. It breaks the ice – dancing just brings people together! – You get FREE accessories! Who doesn’t love a freebie? – Your own private dance studio – so you can lose your inhibitions without strangers watching. – A track and theme to suit EVERYONE’s tastes. MOST IMPORTANTLY – we do all the nitty gritty stuff for you! Upon enquiry, you will be assigned a Personal Event Manager who will look after you at every stage from initial enquiry right up until you exit the dance studio after your party.